I just returned from Atlanta with my colleagues Kandi O’Connor and Seanna Lewis after attending this year’s Franchise Consumer Marketing Conference. What a terrific event for sharing local marketing best practices. 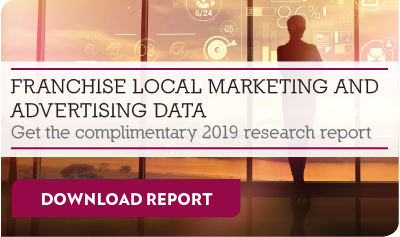 We met a number of truly inspiring franchise marketers and came away with some fresh thinking about marketing through franchisees that can apply across industries with distributed marketing models. Here are a few of the key themes from FCMC 2016 that resonated with us that you might consider as you think about local marketing for your distributed organization. Keynote speaker Scott Stratten proclaimed, “Your frontline improves your bottom line.” Clearly this rings true whether you are a franchisor marketing through franchisees or a bank marketing through your branches. So, what does effective marketing on the “frontlines” look like? As Ali Rauch of Chicken Salad Chick put it, “It's not about local marketing, it's about community marketing.” Ali and her panel described franchisees who are essentially “the mayors” of their local communities. These standouts are involved in their local chambers, they give back to the community, and they have a presence at local events. This level of local marketing does not just happen on its own. We heard over and over that in order for your frontline to effectively represent your brand locally, it needs solid support from corporate marketing. Provide the training your franchisees need to be successful. Furthermore, make sure it’s easy for local representatives to participate in and execute local campaigns. One method of influencing change that was highlighted by many franchisors was to partner with successful, influential franchisees. Encouraging these individuals to share their local marketing success stories builds credibility for your marketing programs with the rest of the franchise system. 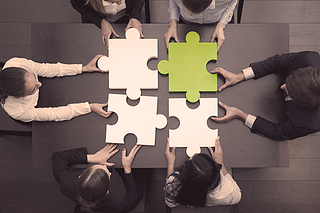 The common thread connecting these lessons from FCMC is that distributed marketing organizations are most successful when corporate fosters true partnerships with its local operations. Actively listen and collaborate with local representatives, provide adequate training, resources and leadership, and share local achievements across the organization to foster best practices and amplify success. Were you at FCMC? What key insights and themes intrigued you? Share your thoughts in the comments below.